Another week and another round of scheduled maintenance for Destiny 2. 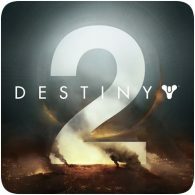 Bungie has confirmed that servers will be offline on Tuesday, 3rd October from 4 PM (BST), and lasting until 8 PM (BST). Players will have until 5 PM to complete their online games before being booted off the servers at 5 PM (BST). The team at Bungie are still investigating other issues affecting the game, and have created a list of known issues. Issues include the game crashing on the PS4 Pro, and items going missing from the player’s inventory.